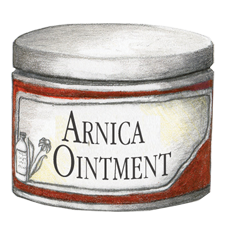 Arnica Ointment is for sore muscles, joints and bruises. Do not use on open wounds. External use only.